These pizza pans were made of much sturdier material than I expected. Should hold up well. I use my toaster oven a lot. These pans look like a good size to use while cooking. Also can double as lids on small fry pans. Exactly what I was looking for, and great value!! 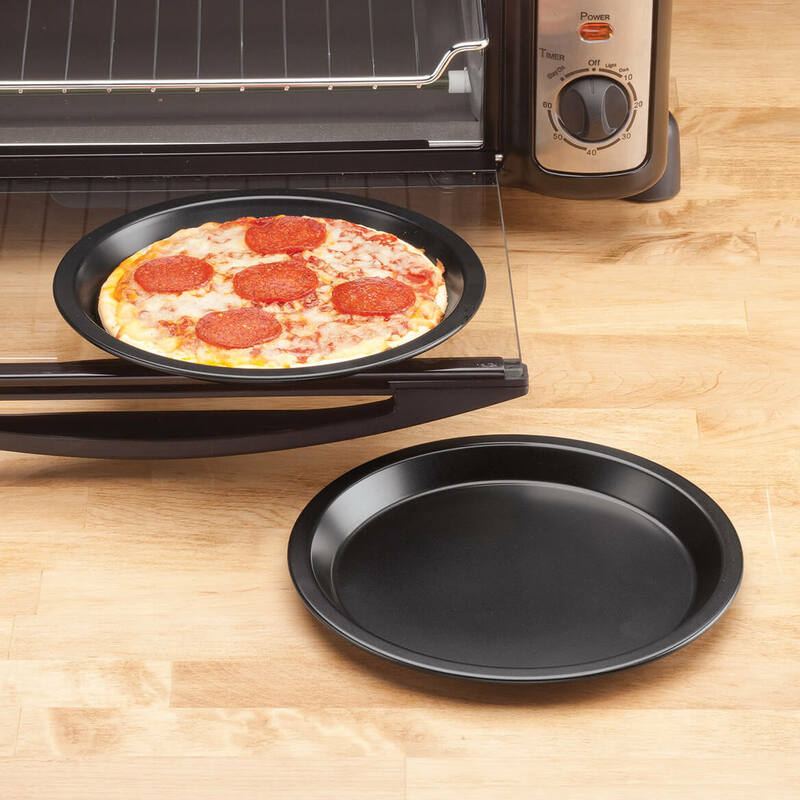 What is the diameter of pizza pans? BEST ANSWER: Thank you for your question. Each pan is 8" in diameter. We hope this information will be of help to you. 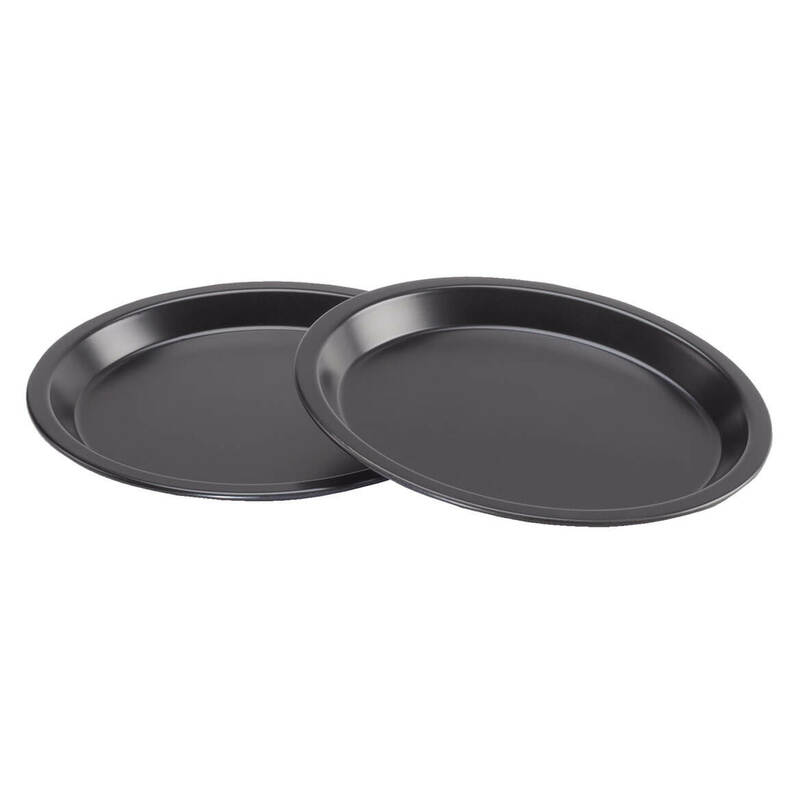 What are these pans made of? BEST ANSWER: Thank you for your question. They are made of nonstick steel. We hope this information will be of help to you.